1970s and 80s Victorian Revival / Steampunk 2. See also ChD5, 6011, 6012. 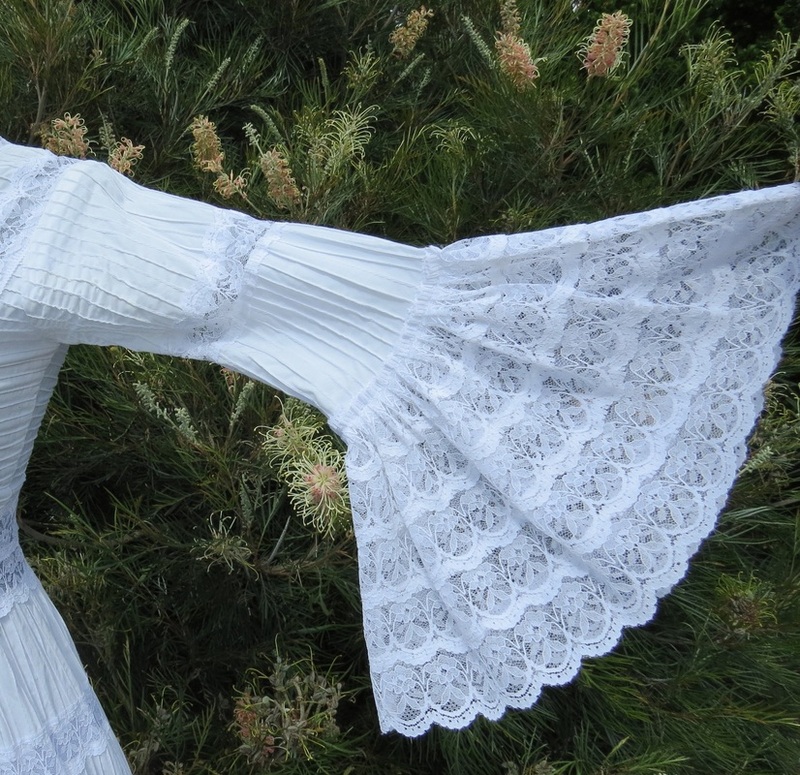 VR7 crisp white cotton and lace. About size 8. 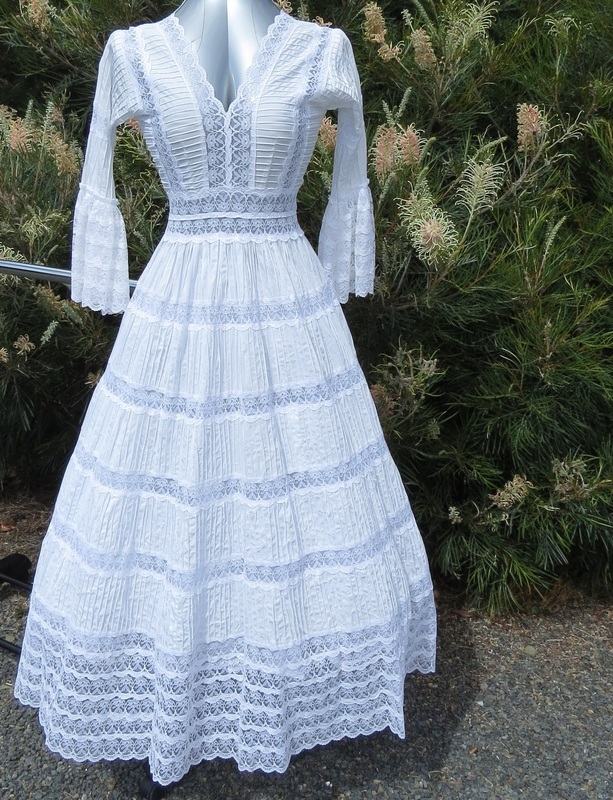 Approximate measurements, allowing for breathing space: bust 86cm, waist 63cm. Shoulder to waist 39cm, waist to hem 100. Will need a slip (white or coloured). Doesn't need ironing. $70. VR7 No label but probably made in the 1970s by SuzAna. Photo over crinoline (not included in price). VR6 B 86, W 72, length 128cm. 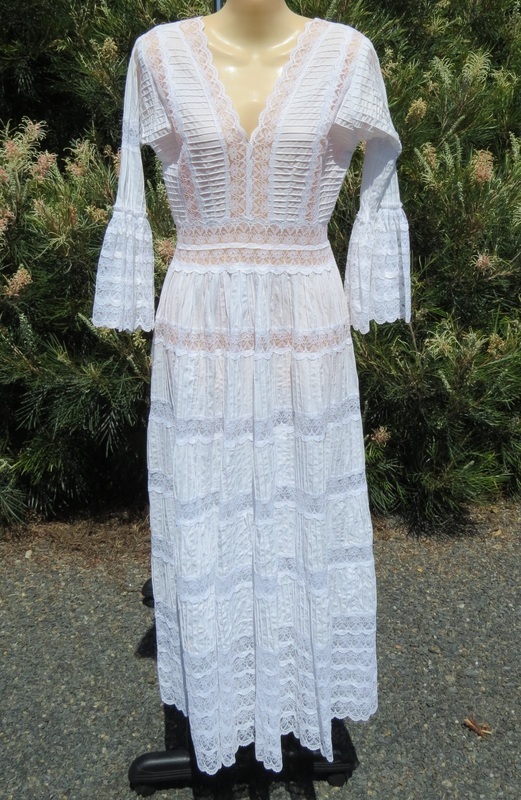 1970s, silk and lace (needs slip). Said to be Liberty of London but has no tags. Price reduced as there is some underarm staining. $50.